Dele Alli is not going to win any popularity awards this Christmas. Fresh from his ugly challenge on Kevin De Bruyne last week he was booked after just four minutes of this game for going in studs up on Charlie Taylor, and was arguably lucky still to be on the pitch when he won the penalty that put his side in front two minutes later. As Alli went to ground rather easily for the penalty it was hard to know which incident the Burnley fans were more incensed over. The tackle on Taylor was probably not deserving of a straight red card, while the penalty award, as is the case so often at the moment, was infinitely more debatable. Yet though Burnley will bear a sense of grievance, the bottom line is that Spurs were the better side, created more chances, and thoroughly deserved to climb above their hosts in the table. 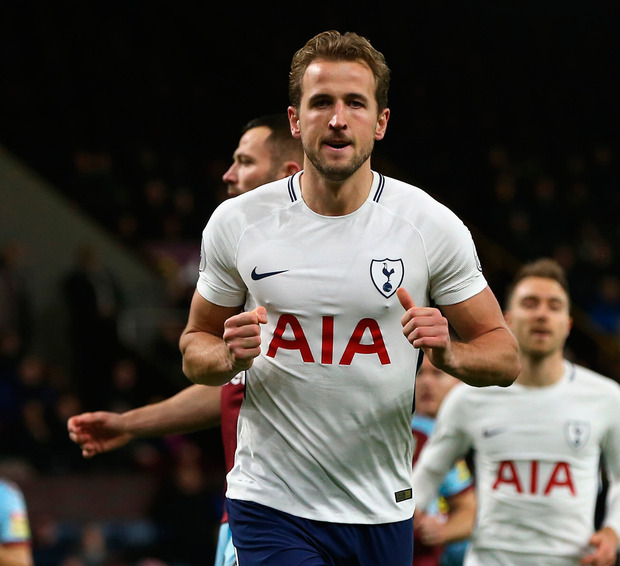 But for some extremely poor finishing they might have accomplished their task earlier or more emphatically; as it was goals number 13, 14 and 15 in the league for Harry Kane this season were enough to secure the points. If Kane had been on the end of some of the openings Spurs had passed up earlier he could easily have been closing in on his 20th goal of the season by now, and he could certainly have beaten the top flight record for goals in a calendar year instead of just equalling it with 36. After his foul on Taylor, Alli was already being booed when he won a penalty two minutes later following a coming together with Irish defender Kevin Long in the box. There really did not appear to be too much more than that, there was no obvious foul and only minimal contact, but Alli hit the deck and referee Michael Oliver pointed to the spot. This is not to accuse Alli of cheating, since former referee Graham Poll was on television during Spurs' game at Manchester City last week arguing that players could not expect to win penalty decisions if they stay on their feet. If you feel any sort of contact, go down appeared to be the message, and presumably that applies to the slightest bump or nudge in the back, even if there was a suggestion that Alli began his dive before any contact was made. While Kane had no trouble in putting Spurs ahead from the spot the Burnley fans were far from happy at the latest example of a blight on the game. It is not simulation that is the problem, it is exaggeration, and it appears at least in part to be officially sanctioned. Moussa Sissoko squandered the best of a series of glorious chances to put Spurs further ahead. 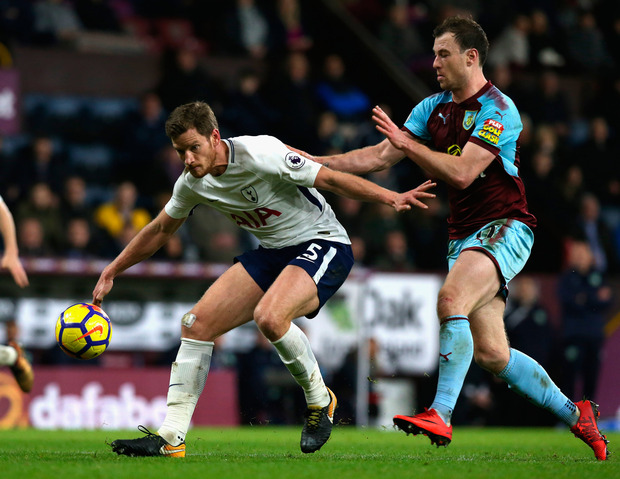 By the time Kane overhit a pass to an unmarked Christian Eriksen in the area Spurs' finishing prowess was in some doubt and Burnley had had so many let-offs they could scarcely carry on complaining about the penalty affecting the result. 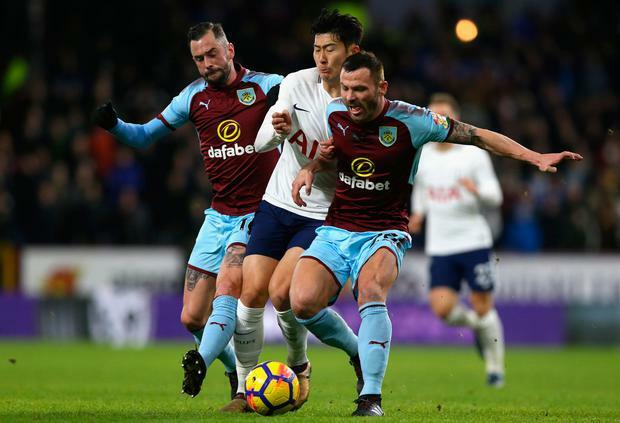 It could not continue, and when the normally reliable Ben Mee coughed up the ball to Sissoko in his own half the result was inevitable as soon as the midfielder knocked it into Kane's path. Composure in front of goal is what Kane does, and he duly slotted a low shot past Nick Pope. The hat-trick came 10 minutes later, with another bottom-corner finish from Alli's flick after Johann Berg Gudmundsson had lost possession in a dangerous area. All that remained was for the home fans to get incensed all over again when Ashley Barnes was penalised for barging into Hugo Lloris before heading into the net. It was not much of a push, to be fair, and the goalkeeper probably needed to be stronger, but even Burnley must know it is not 1958 any more. If Sean Dyche and his players intend to stay in the top half a more legitimate goal threat would not go amiss.